What is your opinion about Lebanon, since we know that this was your first visit? How would you evaluate the evangelistic meetings that were organized by the Armenian Evangelical Emmanuel Church? How is the condition of the Armenian youth in Lyon in general and the Armenian Evangelical youth in specific? How is the relationship of the Armenian Evangelical Churches in France with the Armenian Apostolic and the Armenian Catholic Churches respectively? Does using the two languages, French and Armenian in the Church worship become a hindrance to the preservation of the Armenian language and identity? Does the Armenian Evangelical Church in Lyon coordinate with the Armenian cultural organizations and parties regarding April 24 and Armenian cultural events? What is your opinion about our Chanitz blog and newsletters? 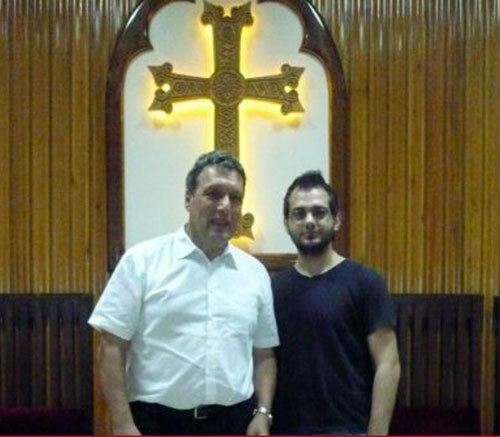 You will listen to the answers to these question that Hagop raised with Rev. Hagop Tchoghandjian. The interview is in Armenian.